(Item No. G8-2*) Users say you never fully experience Willard's Water until you experience it topically via use of NCI's exclusive Willard's Water GELS. This WW Gel 8-oz Combo gives you one 8-oz of each of the two very popular Gels, at great savings! The Combo price saves you $8.95 over the cost of buying them at their regular prices. 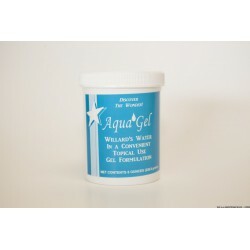 This WW Gel 8-oz Combo gives you one of each of the two very popular Gels in the 8-oz sizes. The Aqua Gel is the multi-purpose use Willard's Water Gel... Users say it is a household staple they will not be without … saying they use it on bumps, bruises, sore muscles, and all kinds of "owies" etc, as well as on their hair for greater manageability and thicker look, and on their skin for smoother, nicer feeling skin. Many women use it under their make-up for smoother results. 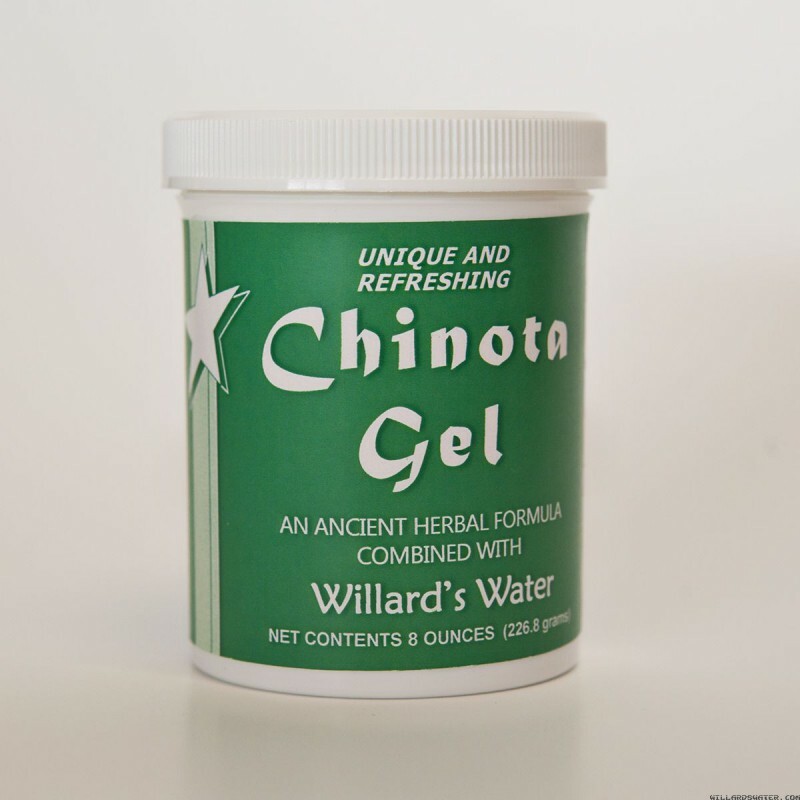 The Chinota Gel is preferred over the Aqua Gel for temporary topical relief of pain. For more details on both the gels, see their individual listings in the Product Information pages. 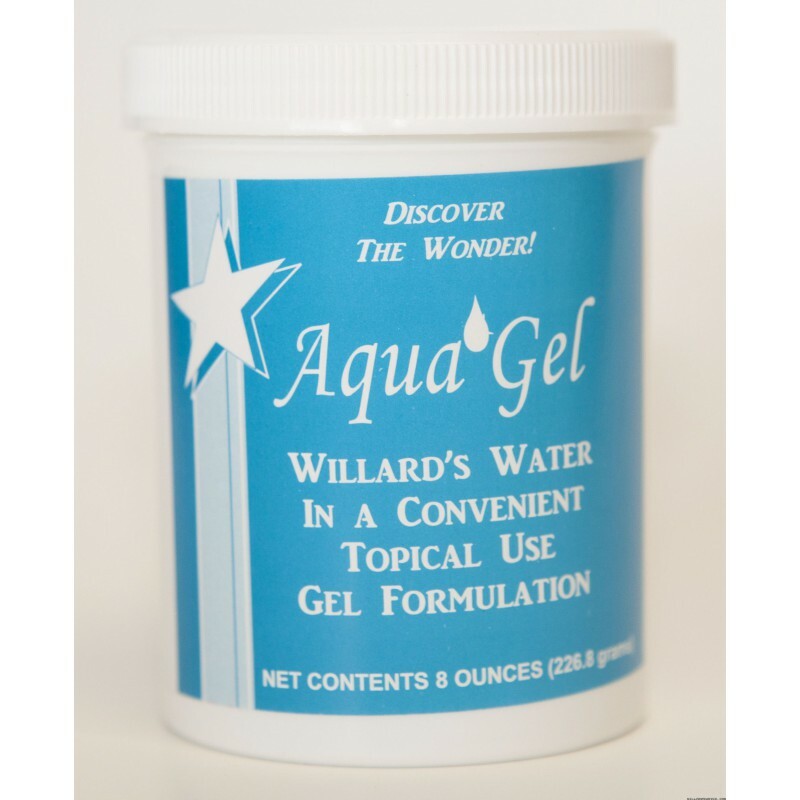 (Item AG-8): Aqua Gel - 8 oz Dr. Willard’s Water combined with Aloe Vera and Vitamin E, made into a convenient-to-use gel form that won’t run-off or evaporate like the liquid does when applied topically. This is NCI's multi-topical-use Willard's Water product and is only available from NCI. 8 oz jar container. 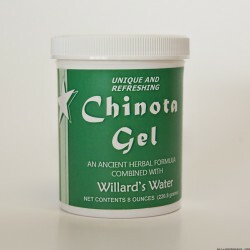 1 x Chinota Gel - 8oz. Users rave about the temporary relief Chinota brings to their aching muscles, and other painful conditions. 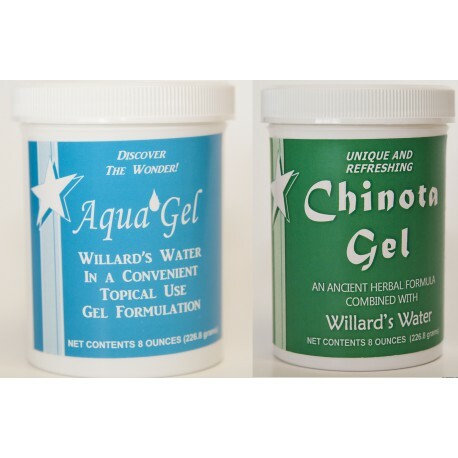 It’s Willard's Water (WW) combined with several Chinese herbs in NCI's exclusive formulation and thickened into a gel. 4 oz size is Item HG-4; 8-oz size is Item HG-8.